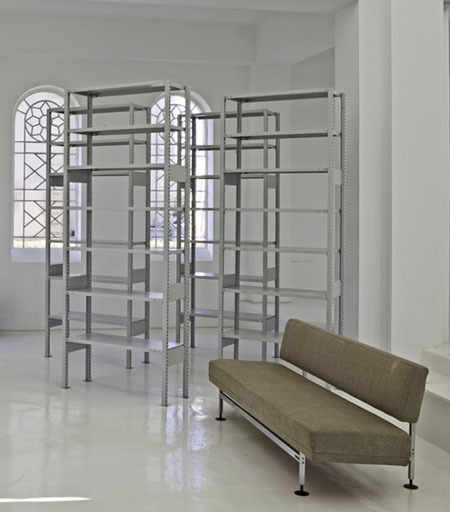 "What I'd love to have at home" is an installation consisting of pieces of furniture I currently miss at home. I borrowed a sofa and a system of shelves from the respective manufacturers and traders and set them up in the Bellevue Hall. The elements missing in the situation I live in replace the artistic expression expected in the exhibition. The work transports the tension between necessity and desire which is just as present in the private sphere as is in art practice.